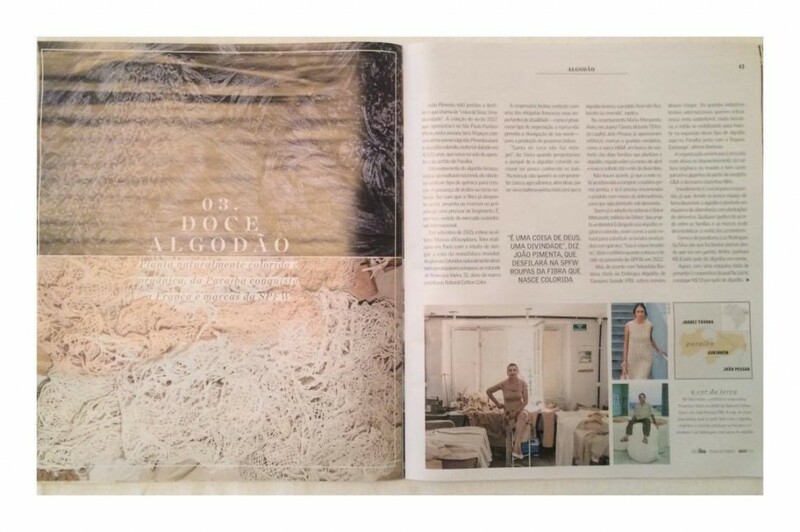 In recent months the guidelines of Natural Color Cotton were received by the media in Brazil. In January, the highlight was in the G1 portal due to the exposure of garments from the Capsule collection in the Paraíba Craft Show. 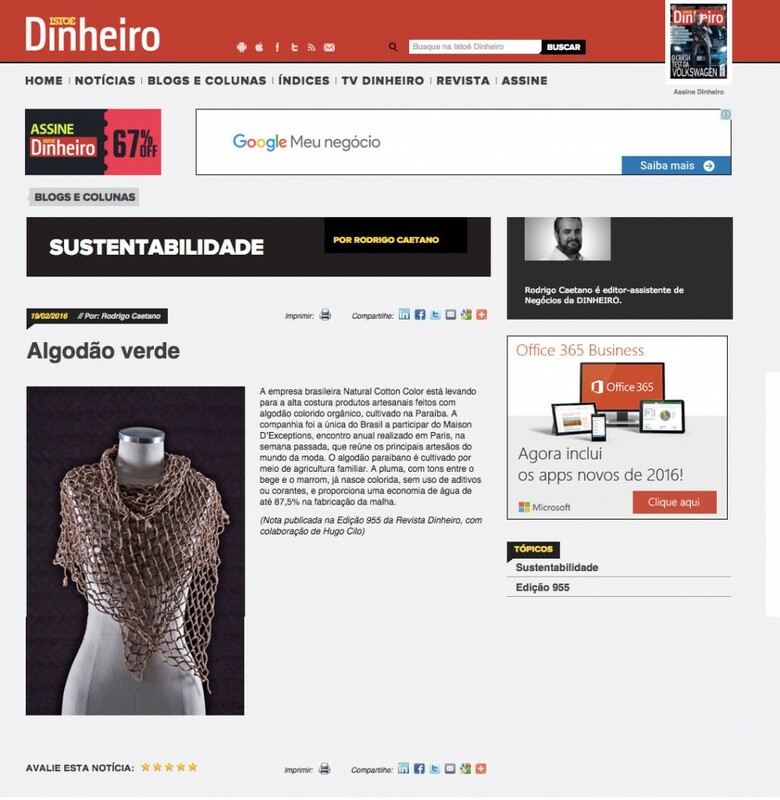 In March we highlight the newspaper Gazeta do Povo, Paraná state. The report makes an approach about brands that are conquering the market with eco-fashion. 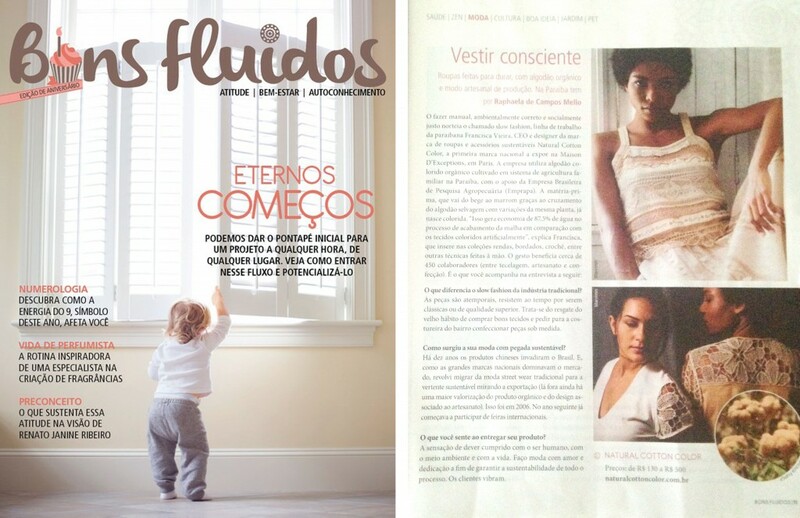 In the April edition Natural Color Cotton gained ground with the concept Slow Fashion approach, in the national circulation magazine Bons Fluídos. In the interview with Francisca Vieira, CEO of the brand, explains the concept contained in the mark: the environmentally sound and socially just manual work. 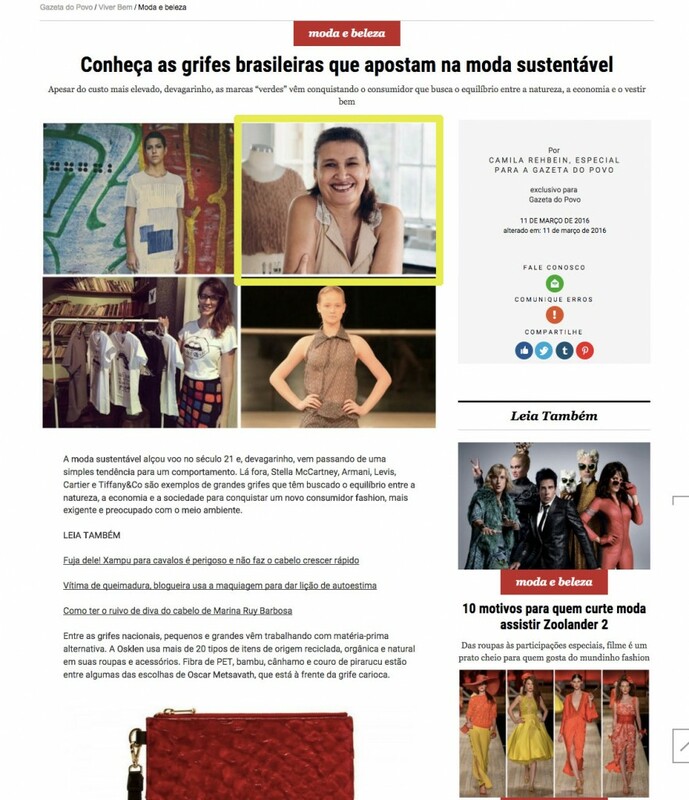 In April the Natural Cotton Color was featured in a special report on sustainable and handmade fashion in SPFW, in Serafina magazine, Folha de São Paulo, with national circulation. Among the four covered products are silk, renaissance lace and leather. The report highlights the planting of organic colored cotton Cotton Natural Color with guaranteed purchase at Paraiba.